It seems as though users of Microsoft’s web browser, Internet Explorer, are significantly more likely to click on ads than users of pretty much any other browser you could care to name. Word comes via TechCrunch of a study undertaken by Chikita, which analysed results from a series of different browsers and operating systems. The fairly interesting result is that users who browse the web from Internet Explorer are, on average, around 40% more likely to click on advertisements than Firefox users, and that gap only gets wider when it comes to Safari and Chrome users who seem far less likely altogether to click on ads. Of course, there are all kinds of reasons as to just why Internet Explorer users might be more likely to click on ads, but we’d be very likely to attach blame to the fact that Internet Explorer is, when it comes to an awful lot of Windows-based machines, a bit of a default choice when it comes to web browsers. While it might seem like a bit of a no-brainer, we’d imagine that people who have been browsing the web for a while are both more likely to download and play with a second browser and less likely to click on advertising. 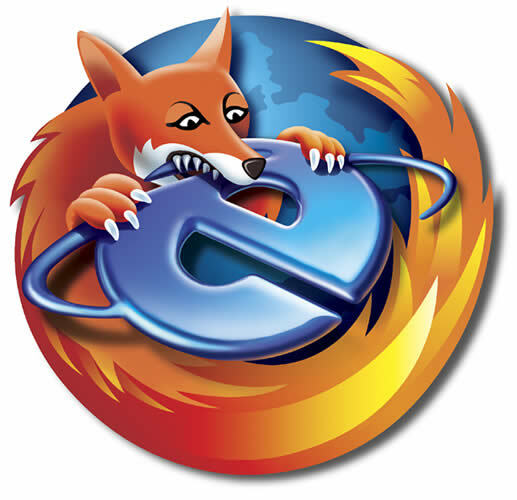 Moreover, the fact that Firefox boasts plug-ins that allow users to block advertising means that many of its users may never see the ads that other browser users are shown. This entry was posted on December 11, 2009 at 12:08 pm and is filed under Uncategorized. You can follow any responses to this entry through the RSS 2.0 feed. You can leave a response, or trackback from your own site. So really Google should give up developing Chrome and support IE. Also I use IE8 and I have plug-ins for Flash block and Ad block, both highly configurable and both been around since about 2006. The Chrome comment is really interesting… I hadn’t considered at all the fact that, according to that research, Google’s own browser nets it less money. I hadn’t meant to insinuate that everyone used IE for the fact that it comes bundled with the OS, just that it does earn a lot of users for that fact.